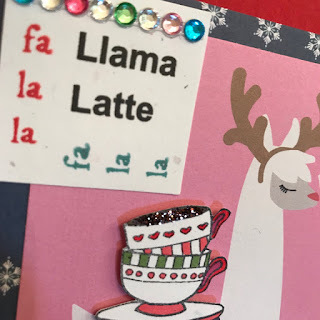 Not quite sure how I got into the Llama obsession, but then again -- who could resist this fun paper pad by Craft Smith at Michaels. 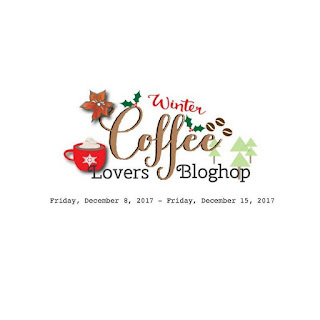 Excited to be posting a third card today for the Winter Coffee Lovers Blog Hop, especially since a busy work week is starting . I will barely have time to check out the new link-ups, let alone make more cards. Today's card is a fun take on a favorite Christmas carol plus a favorite drink !! Hope you like it ..
On a navy blue card base, I adhered a piece of patterned paper from the Craft Smith Falalallama paper pad. A journal card from the same paper pad was then cut and adhered to the patterned paper. I stamped the coffee cups on Neenah Stardust White cardstock with Memories India Black ink. They were then fussy-cut and colored with my Faber-Castell PITT Artist pens. Foam dimensionals were used to adhere the cups to the back of the llama. The sentiment was printed on my computer on Stardust White cardstock , then paper-punched into a square. 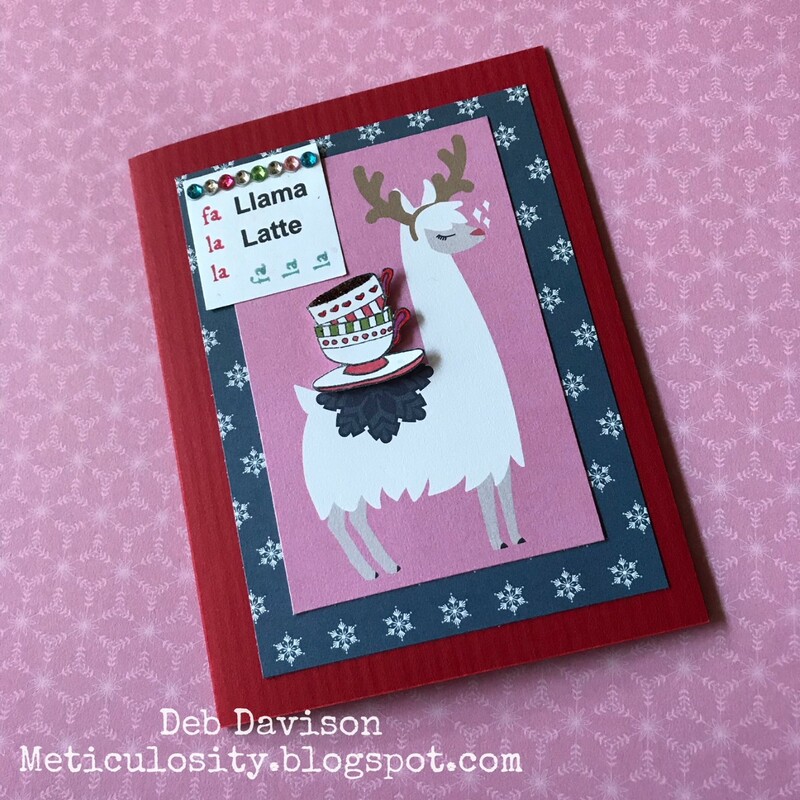 My fun Fa la la stamp from Rubber Moon Stamps was stamped on the square using Tim Holtz Distress Ink Pads in Festive Berries and Evergreen Biough. 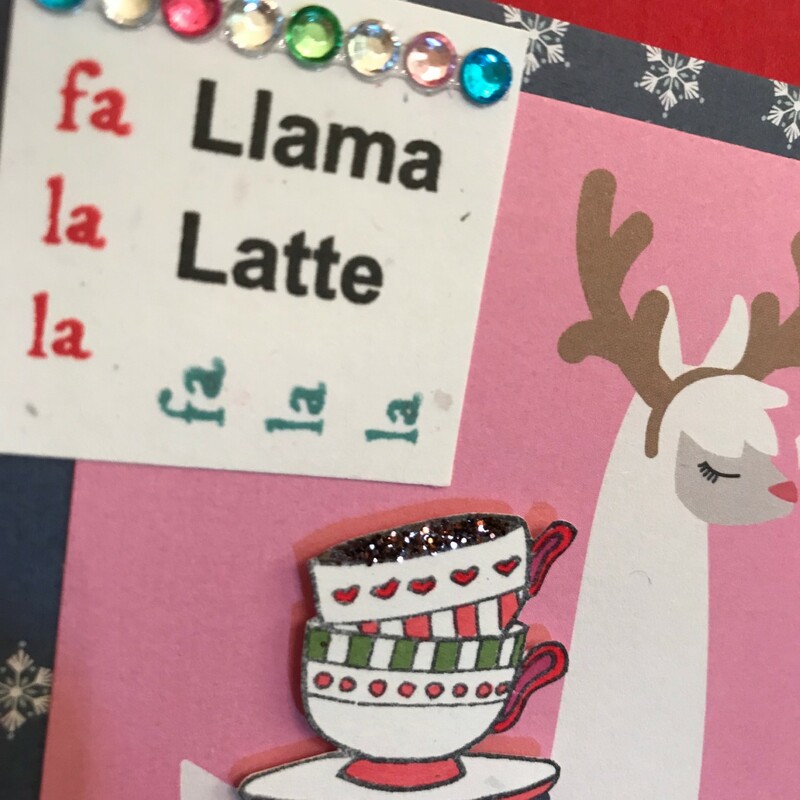 A strip of rhinestones was placed at the top of the Llama Latte square and then the square was adhered to the card. My Tombow MONO Permanent Adhesive Runner was used to adhere all the above-mentioned items. Brown glitter was used to highlight the coffee in the cup. Gotta have some glitter !!! 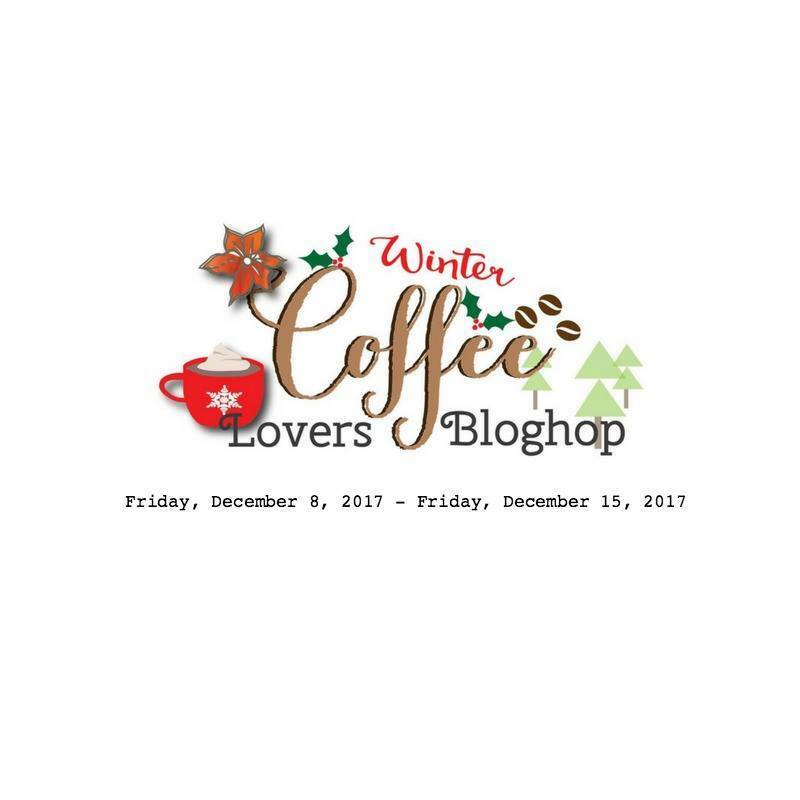 Be sure to check out the 2017 Winter Coffee Lovers Blog Hop . There are already over 350 projects !! Hoping to post some more cards to the Hop towards the end of the week. Enjoy some of your favorite coffee today and listen to some holiday music. I'm also finishing up some Christmas cards - this cute little Llama just might be decking the halls in a faraway land this holiday season . Oh this is adorable! Love the color pallet and sentiment and of course that falalalallama! I love that llama and how he is carrying all the coffee on a tray. Such a cute card. How adorable and fun with Llama image! THIS is so adorable! I love that paper pad and you made it shine with this cute card! cute llama and great idea the cups on her back. love it. What a cute card. I love the little rhinestones that you used. I hope you have a good week even if it is busy. Hugs! Very cute card idea with the llama. I like the glitter for the coffee. Oh, love this! SO sweet!